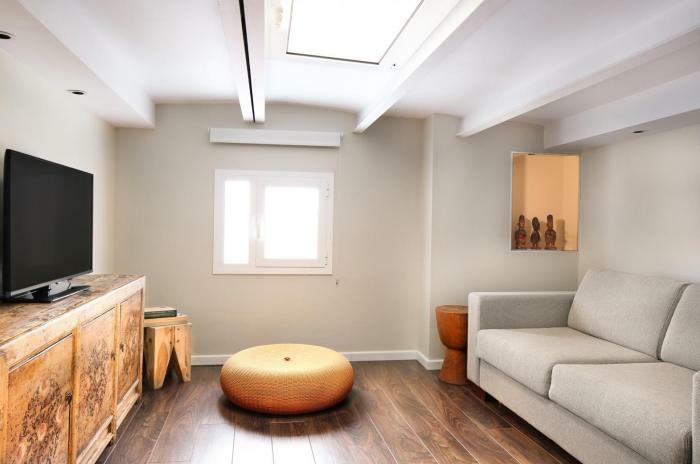 The family rooms measure 25m², can accommodate 4 people and are arranged on two levels. They are functional rooms where work and pleasure perfectly converge with all of the comfort that Derby Hotels Collection offers. The lower level features a cozy lounge with sofa bed and the upper level is the sleeping area. Some of the rooms have a private terrace. 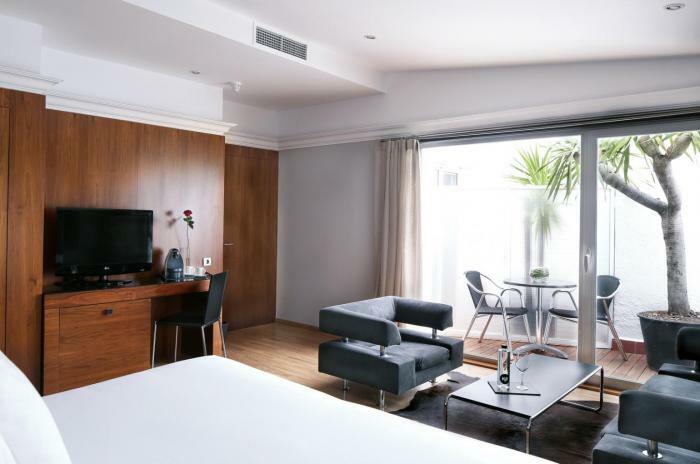 All of the rooms and apartments at the Balmes Hotel offer individual air conditioning, 24-hour room service, satellite TV channels, direct telephone, minibar, safe, laundry and ironing service, hair dryer and bathroom amenities.